For some reason, no amount of Altoids, gum, tooth brushing, mouthwash gargling, or violent tongue scrubbing can get rid of garlic breath (at least in my experience). That was why I was so excited to read a Bon Appetit post in Business Insider that crowdsourced solutions to eliminating the stench after a big bowl of pasta pesto or something similar. But why exactly does this unrelenting stench occur, and why do weird remedies (like milk) fix it? First of all, garlic breath doesn’t just come from your mouth/tongue like you think it does, it comes from your gut. Yep, according to the Huffington Post, garlic produces “sulfur containing gasses” in your intestines that can emit those nose-scrunching smells (gross). According to Reader's Digest, you should keep an eye on your garnish and eat it after consuming a garlic-enhanced meal. The chemicals in parsley (and other herbs like basil and mint), can “help neutralize odor.” Sounds easy enough. A piece in BreathMD (yes, a whole site dedicated to the health of your mouth smells!) claims the fat in milk can also cancel out those garlic-induced odors. It’s also best to drink whole milk, and during your garlic-y meal, not after. Weird, I know, but definitely doable. 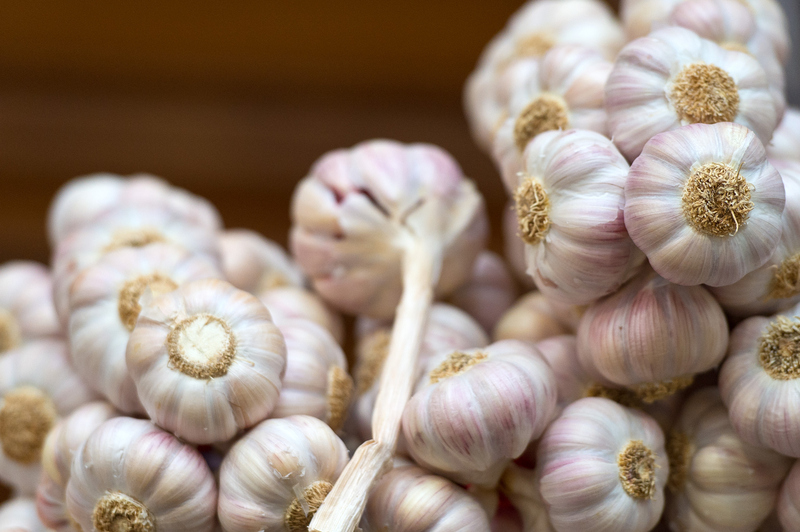 Reader's Digest mentions that the enzymes in fruit can easily break down the sulfur compounds caused by garlic in your gut — so eating it for dessert might be a good idea. Also, fruit is awesome, and we should probably be eating more of it anyway. Two birds, you know? According to YouQueen, the turmeric in mustard can help prevent bad breath. All you have to do is swish with and spit out one tablespoon of mustard, and then swallow another — this will help combat those awful garlic sulfur compounds we’ve grown to dislike (a lot). BreathMD also suggests chewing on any of these (hopefully you have at least one of them sitting around in your pantry) to neutralize or mask the odor. It might not necessarily work against the sulfur, but when in a pinch at a party, head for the spice rack when no one’s looking. Both drinking the juice from and nibbling on the peel of a lemon can help eliminate bad breath — the peel can also reduce the garlic-y smell on your hands (another very important issue). Pizza and lemons for lunch, today.